Småland is a relatively large region in Sweden that offers a wide range of conference facilities. In the cities, you will find modern hotels and facilities, whilst, on the East Coast and the shores of Lake Vättern there are small picturesque hotels and genuine mansions. Or why not book the conference in the middle of the "glass kingdom"? The "Kosta Boda Art Hotel" is a design hotel that truly lives up to the region's world-renowned glass art. It is Swedish culture and design in cubic. Among the Småland conference facilities are some of Sweden's most popular. One of these is the Hook Manor a few miles south of Jönköping. If you prefer to host the conference in the city environment, Profilhotels Hotel Savoy and Elite Stora Hotellet are two prominent alternatives. Both hotels are located centrally in Jönköping. In the railway junction Nässjö is a very good conference option Hotell Högland. 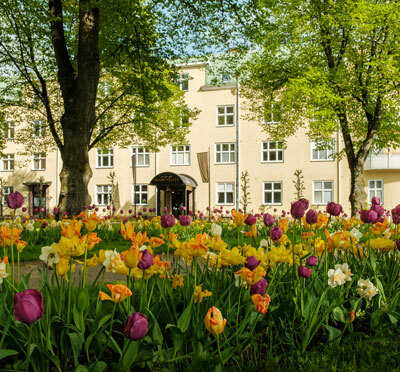 Elite Hotels has two nice facilities in Växjö, namely Elite Park Hotel with high conference capacity in neighboring Växjö Concert Hall , and Elite Stadshotellet . 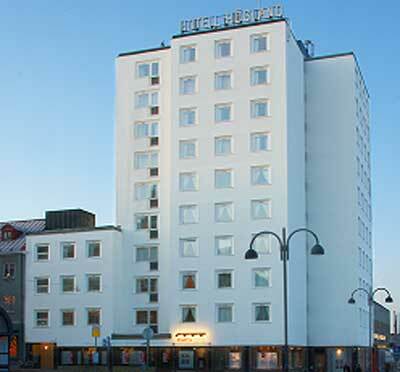 For conferences in Kalmar, find among others Profilhotels Calmar Stadshotell and Best Western Plus Kalmarsund Hotel. For larger conferences and events in Kalmar, Guldfågeln Arena is an excellent option. On the other side of Öland Bridge is the popular conference hotel Strand Hotel Borgholm. In Tranås , northern Småland, Badhotellet - is a highly rated conference facility with a elegant spa.